While anyone can grab a camera or smartphone and take a picture, that doesn’t necessarily make them a photographer. What separates professional photographers from amateurs is knowing about concepts such as lighting, negative space and focus. The best way to improve your craft is to practice and learn from professionals. Photography experts agree that one of the fastest ways to improve your skill with a camera is to start reading photography books. Even viewing photographs taken by professionals will have you approaching your photos in a new way. 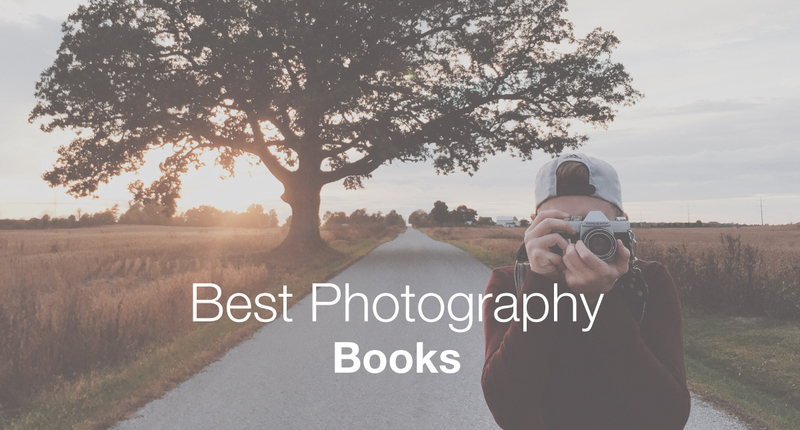 Below, we’ve collected 50 of the best photography books so you can start improving your skills immediately. Reading “The Digital Photography Book: Part 1” is the first step to taking digital photos that are of professional quality. Author Scott Kelby uses simple terminology to explain complicated issues such as lighting and focus. If you’re completely new to the world of digital photography, then “The Digital Photography Book: Part 1” is the perfect place to start learning. In his second book, “The Digital Photography Book, Part 2,” Kelby picks off immediately where the first book ends. With the basics under your belt, “The Digital Photography Book, Part 2” starts to move into the advanced topics. 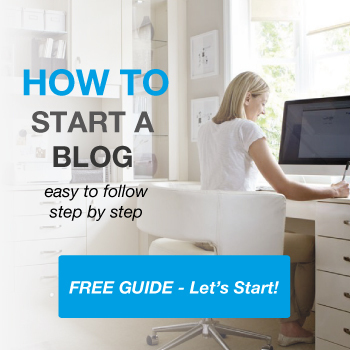 Even after you’ve finished the book, it makes for a great reference guide when you need a quick refresher. While the first two books in Scott Kelby’s series work great as standalone pieces, if you’re serious about digital photography then you need the entire collection. “Scott Kelby’s Digital Photography Boxed Set, Parts 1, 2, 3, 4, and 5” collect all five of Kelby’s books in one set, giving you the digital photography skills you need to go from zero to hero. If you don’t have the time or energy to read through five entire books, Scott Kelby collects his best advice and tips in the “The Best of The Digital Photography Book Series” book. Not only does this book feature the best tips from Scott’s previous five books but it also features updated information about the hottest digital photography cameras and gear. “Tony Northrup’s DSLR Book: How to Create Stunning Digital Photography” combines two forms of learning into one attractive package. 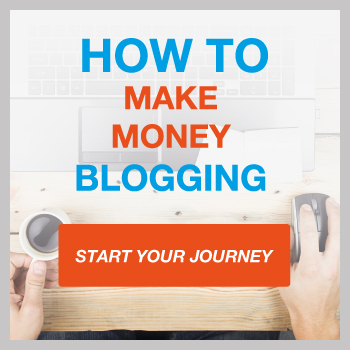 In addition to the book, you’ll also get access to over 12 hours of online training videos from Tony Northrup himself. Each book offers an array of hands-on examples and quizzes to ensure you’re retaining the information that you read. “Digital Photography Complete Course” is a 360-page guide to unlocking the secrets hidden inside of your digital camera. “Digital Photography Complete Course” will show you how to capture the perfect landscape or action shot, followed by lessons on how to edit your digital photographs on the computer. “Digital Photography Complete Course” claims that over the course of 20 weeks you can maximize your talent and take shots on par with any photography professional. While some books try to cram in as much information as possible, “Digital Photography: A Basic Manual” focuses solely on the digital photography novice. This book will not only teach you the basics of taking a beautiful photograph, but it also introduces beginners to concepts such as image editing, file storage and how to print your digital photos. In “Complete Digital Photography,” author Ben Long helps guide readers through the world of digital photography. In addition to showing readers how to take a beautiful photograph using a digital camera, Long shows readers how to choose the best digital camera and even how the internal mechanisms of the camera work. This book also covers advanced topics such as exposure theory and complex masking. Taking a beautiful photo is only half the battle when it comes to digital photography, with the other half knowing how to edit that picture to bring out its real beauty. “Photoshop for Photographers: Training for Photographers to Master Digital Photography and Photo Editing” acts as a tutorial for Photoshop, showing photographers how to master the program so that they can improve any digital picture. 10. DSLR Photography for Beginners: Take 10 Times Better Pictures in 48 Hours or Less! “DSLR Photography for Beginners: Take 10 Times Better Pictures in 48 Hours or Less!” will transform you into a digital photography professional in just two short days. This book will cover all the tips and tricks used by professional photographers and will increase the quality of your photos tenfold. “National Geographic Kids Guide to Photography: Tips & Tricks on How to Be a Great Photographer From the Pros & Your Pals at My Shot” is all about teaching kids how to take great photos in easy-to-understand terminology. In addition to teaching kids how to take excellent pictures, the book also includes before and after pictures so children can see just how much difference these techniques can make. “Photo Adventures for Kids: Solving the Mysteries of Taking Great Photos” focuses on two of the most critical areas for taking a great photo: composition and framing. In this 144-page book, author Anne-Laure Jacquart uses simplified terminology to help turn your children into photography professionals. While not exclusively for children, “BetterPhoto Basics: The Absolute Beginner’s Guide to Taking Photos Like a Pro” will appeal to both teens and adults alike. Not only does this book teach amateur photographers about concepts such as controlling exposure, but on every page is a handful of instant tips that are perfect for those who don’t have time to read. While most books concentrate solely on the techniques used to create amazing photos, “Joel Meyerowitz: Seeing Things: A Kid’s Guide to Looking at Photographs” explores the ideas and elements behind a great picture. A short story accompanies each photo that reveals the thought process that went into taking the picture and how the photographer captured the shot. Even children as young as seven can enjoy “Photography for Kids (And Novices of All Ages): Beginning at the Beginning.” This photography book for children is written in a casual, fun style that makes it easy for younger readers to comprehend. Whenever a new photography term is used in the book, author Philip R Glassel gives a definition of it immediately. “The Kids’ Guide to Digital Photography: How to Shoot, Save, Play with & Print Your Digital Photos” is a child’s gateway to learning all about the magic of digital photography. In addition to showing children how to take a great photograph, “The Kids’ Guide to Digital Photography: How to Shoot, Save, Play with & Print Your Digital Photos” also shows them how to edit, save and print photos on the computer. “Beyond Snapshots: How to Take That Fancy DSLR Camera Off “Auto” and Photograph Your Life like a Pro” is your guide to capturing every moment of your child’s life with a stunning amount of detail and clarity. This book won’t just show you how to take better portraits of your children but also your pets, other family members and even yourself. 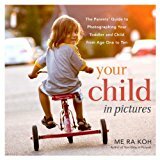 Your child is only young once, and “Your Child in Pictures: The Parents’ Guide to Photographing Your Toddler and Child from Age One to Ten” will help you capture those formative years forever. This book provides 40 different tips and tricks to help you take beautiful pictures of your baby boy or girl. The “Beginners Guide to Children and Family Photography” will help you unlock the secrets hidden inside of your camera. From showing you what the obscure functions on your camera are for to helping you take clear photos of your child, “Beginners Guide to Children and Family Photography” is a must-own book for parents everywhere. “Mamarazzi: Every Mom’s Guide to Photographing Kids” will allow you to take vibrant, clear shots of your children no matter what camera you’re using. Whether it’s a compact camera or a DSLR, “Mamarazzi: Every Mom’s Guide to Photographing Kids” will show you the best techniques to take award-winning photographs of your young ones. 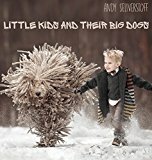 “Little Kids and Their Big Dogs” combines two of the Internet’s cutest sensations: large fluffy dogs and cute children. This book pairs children with their best canine friends in environments such as a snowy field and a whimsical forest, with each shot guaranteed to melt even the coldest of hearts. “Humans of New York” takes a close look at the many different individuals who call New York City their home. A short story or quote accompanies each New York City resident, perfectly showing New York City for the melting pot that it is. While many of these photographs were originally on the Humans of New York website, the book features new photos you’ll only see within its pages. The world is an amazing place, with nature providing amazing spectacles all across the globe. “National Geographic Rarely Seen: Photographs of the Extraordinary” is a collection of some of the most beautiful and rarely seen wonders of nature, including 30,000-year-old cave art and giant crystals that weigh more than 50 tons. In “Ansel Adams in the National Parks: Photographs from America’s Wild Places,” photographer Ansel Adams’ journey to more than 40 national parks is presented in over 200 photos. From Yellowstone to Yosemite, “Ansel Adams in the National Parks: Photographs from America’s Wild Places” is a celebration of the most beautiful locations in the United States. While plenty of books focus on Earth from the perspective of a human, few books present a view of Earth from outer space. 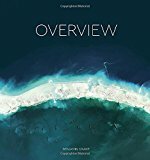 Taken from satellites far above Earth’s atmosphere, “Overview: A New Perspective of Earth” includes over 200 images that will have you looking at Earth in a whole new light. “Paris in Color” presents Paris in a way you’ve never seen it before. Author Nichole Robertson categorizes her pictures of Paris using the primary color in each photo, showing a pink or orange side to Paris that you never knew existed. This book is a perfect example of how just a splash of color can make any photograph pop. 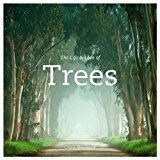 In “The Life and Love of Trees,” trees aren’t just the background for a photo, they are the focus. This book is a collection of amazing photos and stories showcasing nature’s stalwart protectors. In addition to the photos themselves, author Lewis Blackwell also looks at the outside forces that pose a threat to trees across the globe. If you’re struggling to come up with your next vacation spot, then you’ll love “Destinations of a Lifetime: 225 of the World’s Most Amazing Places.” This National Geographic book features over 250 stunning photos across 320 pages and showcases beautiful locations all around the world. 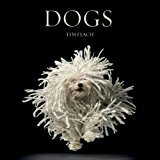 “Dogs” is a celebration of canines, with over 200 pages of nothing but high-quality pictures of some of the world’s most beautiful dogs. The dogs on display run the gamut from Westminster winners to shelter dogs. No matter where each dog comes from, all of them will have the same effect of warming your heart. “Alexander McQueen: Savage Beauty” is a collection of some of Alexander McQueen’s greatest photographs. In addition to a collection of his work, the book also features interviews, quotes and stories involving both McQueen and his photos. If you’re a fan of Alexander McQueen, “Alexander McQueen: Savage Beauty” is a must-own coffee table book for your collection. 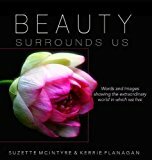 “Beauty Surrounds Us: A Words & Images Coffee Table Book” is a collection of poetry and photos that will touch your very soul. From the reflection in a pond to the cherubic face of a young child, the pictures in this book will stir up a range of emotions. While the book is only 102 pages, every page will inspire and delight you. The “National Geographic Stunning Photographs” focuses on capturing those fleeting moments in time that only last for a second. Inside this book’s 400 pages are photographs such as the precise moment when a firecracker explodes into color. Regardless of the subject, each picture in “National Geographic Stunning Photographs” bursts off the page in an explosion of vibrant color. What’s better than a coffee table photography book about dogs? A coffee table photography book about dogs underwater. “Underwater Dogs” is a collection of photographs of dogs swimming, diving and playing in ponds, pools and oceans. The book features an array of breeds, ranging from small dogs such as dachshunds to Labrador retrievers. In “The Light Between Us,” photographer Vincent Peters goes back to the basics in an attempt to capture a different side of the human body. By relying on small gestures and unique poses, Peters presents human beauty as you’ve never seen it before. Each photograph makes ample use of lighting and framing to create tantalizing pictures that are some of the best in the genre. The magazine “Vogue” has been a mainstay on the magazine racks for years, thanks in part to its fantastic covers. Every issue of “Vogue” used a photograph on the cover that instantly captured the attention of readers across the world. “Vogue: The Covers” is a collection of covers dated as far back as 1982 and representing the photography work of more than a dozen artists. 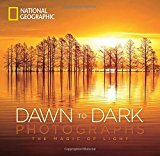 “National Geographic Dawn to Dark Photographs: The Magic of Light” shows you how natural light can completely transform a picture. The book features over 100 photos taken at different points during the day, such as sunrise at the top of a mountain or midday in a field of flowers. No matter which camera you have, “Understanding Exposure, 3rd Edition: How to Shoot Great Photographs with Any Camera” will show you how to take amazing photos that make great use of lighting. Author Bryan Peterson discusses not only lighting but also important aspects such as shutter speed and aperture. “Boudoir Lighting: Simple Techniques for Dramatic Photography” shows amateur photographers how just a single light source can create beautiful images. Author Robin Owen shows you both lighting and posing techniques so that you can create high-quality boudoir pictures. When natural light isn’t available, you need to rely on your camera’s flash functionality. “Understanding Flash Photography: How to Shoot Great Photographs Using Electronic Flash” shows you how to properly use the camera’s flash to create images that are clear and not washed out. “Understanding Flash Photography: How to Shoot Great Photographs Using Electronic Flash” not only shows you how to use automatic flash but also provides tips on using manual flash as well. One of the hardest challenges any photographer can undertake is perfectly capturing the human body. In “Nudes on Location: Posing and Lighting for Photographers,” author Bill Lemon walks readers through how he recreated the poses in some of his most famous photographs. With over 60 images collected in the book, “Nudes on Location: Posing and Lighting for Photographers” is an excellent resource for those wanting to learn proper lighting techniques. You don’t need expensive lighting equipment to create beautiful photographs, and “One Light Flash: Professional-Quality Lighting on a Budget” will show you how you can use only one flash unit to get amazing shots. 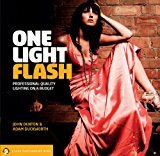 Author John Denton provides diagrams, photos and illustrated guides to demonstrate how one flash is all you need. “Creative Lighting: Digital Photography Tips and Techniques” is for photographers who know the basics about lighting and want to take their game to the next level. In this book, author Harold Davis helps you create a unique lighting style of your own which will transform your pictures into works of art. In “A Shot in the Dark: A Creative DIY Guide to Digital Video Lighting on (Almost) No Budget,” author Jay Holben doesn’t just teach you to set up great lighting displays, he shows you how to interpret and see the light. This book will have you looking at lights in a whole new way. When selling your handmade creations, marketing them to a potential audience is one of the hardest hurdles to overcome. With “The Crafter’s Guide to Taking Great Photos: The Best Techniques for Showcasing Your Handmade Creations,” you’ll learn how to take beautiful pictures of your items that will have your audience buying them immediately. Taking a black and white photograph requires a different set of skills than taking a regular picture. “Black & White Digital Photography Made Easy: The All-In-One Guide to Taking Quality Photos and Editing Successfully Using Photoshop” will provide you with tips, tricks and strategies to creating high-quality black and white pictures. Taking a world-class photograph requires daily practice. “Picture Perfect Practice: A Self-Training Guide to Mastering the Challenges of Taking World-Class Photographs” will not only show you how to take amazing photos, but it will also provide you with practice exercises and tips to hone your skills. 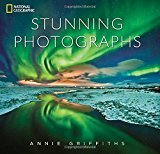 In “Photography: Complete Guide To Taking Stunning, Beautiful Pictures,” you’ll learn how to take astonishing pictures that will take your viewers’ breath away. This book will teach you both beginner and advanced tips that will have you taking professional shots in no time at all. It’s common to take pictures when you travel, especially when you’re going to exotic countries far from home. With “Lonely Planet’s Guide to Travel Photography,” you’ll learn how to take memorable pictures of your vacation destination that you’ll still enjoy years down the line. “Photography For Beginners: Your Complete Beginners Guide To Mastering Digital Photography & Taking the BEST Photos” does what it says on the cover. In this book, you’ll learn the necessary skills to take high-quality digital photos that rival even a seasoned professional. No matter what type of camera you own, it’s capable of taking some beautiful photos. In “Bryan Peterson’s Understanding Photography Field Guide: How to Shoot Great Photographs with Any Camera,” you’ll learn the necessary skills to produce exquisite shots on a regular basis. You have compiled a really amazing list Jamie. These are some really amazing books. I have read some of them. If I have to choose one from the list that I would love to read next, it would be – A Shot in the Dark.